How any football team performs and their success is dependent more on the manager than the players themselves. The managers bring in certain style and character to the team and the best managers are the ones who get the best out of whole squad available. Today we take a look at some of the greatest and most successful managers of all times. 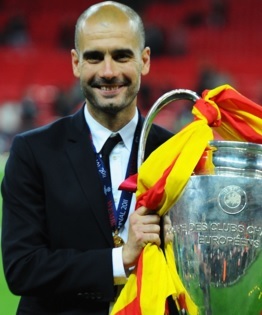 Guardiola started his managerial career with FC Barcelona and turned his tenure at the club as the most succesful in the history of the team winning treble. He went on to guide Barcelona to 2 Champions League title and won 3 Spanish La Liga titles before leaving for Bayern Munich where in three years he has won 3 league titles and 2 German Cups. Notable Trophies: 2 German league titles with Dortmund and 1 Champions League, 5 League titles with Bayern Munich and 1 Champions League. 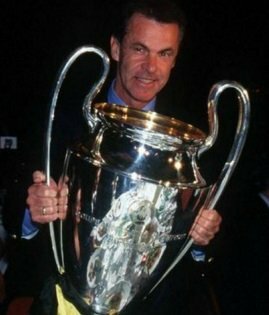 One of the greatest managers to have worked in Germany, Ottmar Hitzfeld rose to fame with his native clubs in Switzerland before joining Borussia Dortmund with whom he won 2 league titles, 2 German Cups and 1 Champions League in 1997 before joining Bayern Munich where 5 league titles, 3 Germany cups and Champions League trophy in 6 years. Notable Trophies: 2 Champions League & 1 Series A title with AC Milan, League titles with Chelsea and PSG. Champions League with Real Madrid. Carlo Ancelotti made AC Milan the top European Club in his 6 year stint from 2001 to 2007 where he guided the team to two Champions League titles and 1 Serie a title plus number of other trophies. 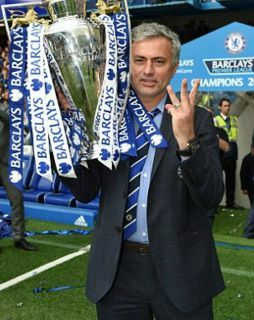 Won the Premier League in his first season with Chelsea followed by his historic third Champions League title with Real Madrid. Ancolotti is set to become Bayern Munich boss from 2016-17 season. Titles: 1 English Div 1 title with Derby County in 1972, 1 Div 1 title with Nottingham Forest, 2 European Cups (1979 & 1980), 4 league cups. 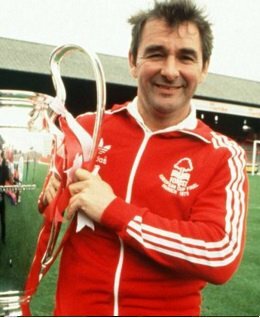 He might not have won so many trophies like others in the list but Brian Clough was a legendary figure in English football who took two teams from bottom to the English div 1 titles. He never worked for some high profile club but his back to back European titles with Nottingham Forest will always go down as unique success in English football. Trophies: 2 Spanish League titles, 2 Spanish Cups, 2 Champions League with Real madrid. 1 World Cup and 1 European Championship title with Spain national team. 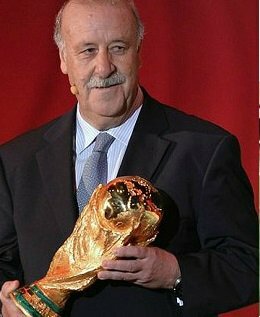 Del Bosque is a huge figure in Spanish football. Who dominated football in spain as a player winning 5 league titles with Real madrid and he became their full time manager in 1999 to 2003 where he guided the club to 2 League titles, 2 Champions Leagues. While he took over as Spain’s national coach after 2008 European championship and continued Spain’s supremacy at world stage winning 2010 world cup and 2012 European Championship. Trophies: 3 League titles, 1 UEFA Cup and 1 Champions League with FC Porto, 3 Premier League Titles in two stints as Chelsea manager. 2 Series a titles and 1 Champions League with Inter. Spanish La Liga title with Real Madrid. Probably one of the most unique characters in the list, Jose Mourinho rose to fame with FC Porto dominating portugese football winning three back to back titles plus two Euro title in successive seasons. Joined Chelsea and won them two back to back titles before heading to Inter where he won the treble in 2010. His might not play the best football but he guarantee trophies. Trophies: 6 English div 1 titles, 3 European Cups, 1 UEFA Cups and 4 League Cups with Liverpool in his 9 year stint as Liverpool manager. 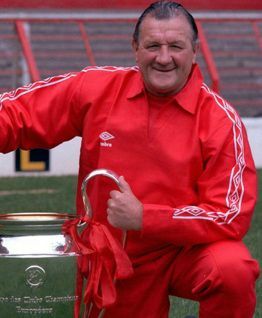 Bob Paisley won 19 trophies with Liverpool in his 9 years as manager and that elevated Liverpool to absolute glory in 1970s and early 80s. Dominated English football with 6 league titles is one thing but to put Liverpool as elite European cup by winning 3 Champions League titles in 4 years was somthing which gave him a legendary status in English football. Trophies: 4 League titles and European Cup with Ajax, League titles with FC Koln and Barcelona. European Championship in 1988 with Holland. 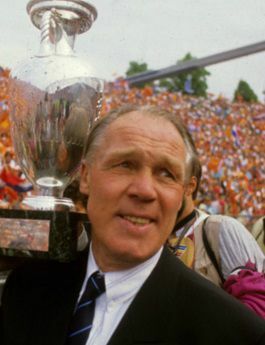 Named as manager of the century by FIFA, Rinus Michels had a massive impact in European football particularly his invention of “total football” in Holland. He took Ajax from the verge of relegation to European Champions winning 4 league titles on the way. He also guided a very talented Holland team to 2 world cup finals and European Champonship win in 1988. Lets just not talk about trophies won here, his contribution to the game is second to none as he is widely regarded as the first manager to use “total football” which involved high level of discipline and stamina from his players where they could interchange positions throughout the game. 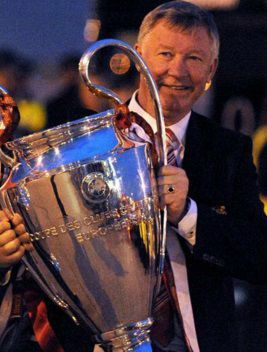 In total Sir Alex Ferguson won 38 trophies in his 27 years as Manchester United boss. When he took over as United manager in 1986 he stated “I want to knocked off Liverpool of their f***** perch”. That started the greatest rivalry in English football. He went on to guide United to 13 Premier League titles in 27 years as United overtook Liverpool as the most successful English club. Sir Alex retired in 2013 but only after making United the biggest club in the world both on the field and in terms of market value. Mo manager in history of football can claim so much of a clubs success than what Sir Alex can. United is a global brand now and thats largely down to the work he has put in in best part of three decades.